Just when everyones is getting used to news of Firefox eating into Microsoft Internet Explorer’s market share, along comes Google to upset the natural order of things. This new open source browser will compete with the two mentioned browsers, and this can’t but make me wonder whether Google Chrome will be to Firefox as what Firefox is to IE, quietly nibbling away at the market share? It will be interesting to see how this lightweight and fast browser will take off. It will be launched as a beta for Windows machines only in more than 100 countries, although there are plans to release both Mac and Linux versions. 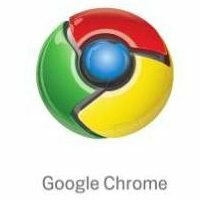 What about YOUR user rights with Google Chrome? When you submit information on your medical,financial or ANY forms you also are submitting it to Google.And it looks like they can do anything with it that they want. I’m writing this comment from Google Chrome and it’s not bad. At the beginning there was no ctrl+s to save a page but that’s been updated (thank god). I’d like some gadgets to go with it (eg the del.icio.us extension from firefox) but aside from that I’ve had no problems so far and it’s initial testing is wayyy better than the IE8 testing which crashed during a blog post. What can I say? It’s Google. It’s clean and it works. That being said…Google Chrome for me will have to work harder to out-do Firefox. For the record the TOC does concern me a little. I’ve been careful not to use it too much right now.